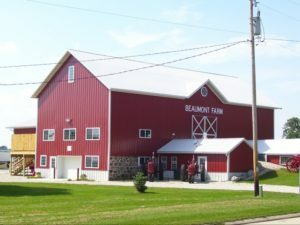 Bower Design & Construction loves post-frame construction jobs, and has extensive experience building pole barns in and around the Racine County area. We know how important reliable, affordable construction solutions are to residential and commercial customers alike. Post-frame construction is a popular choice for those looking to build barns and/or storage buildings quickly and cost-effectively. 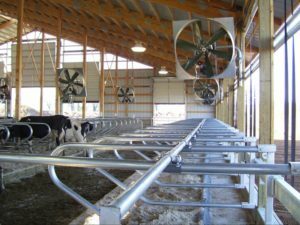 Need a milking parlor, livestock barn, or farm shop on your property? Maybe you’re more interested in an indoor riding arena or horse stall barns. Pole barns are an excellent option for farm and equestrian related uses; but they can also be so much more. Post-frame construction is perfect for building airplane hangars and storage facilities for large machinery as well. You can trust post-frame construction to withstand the weather in Wisconsin, protecting your valuables inside. When Bower custom designs your pole barn, you know everything you need and dreamed of will be included too! Turnaround time. Post-frame construction is quickly and efficiently built; allowing you to erect a new building much faster compared to other construction methods. Low cost. Less materials are used to build pole barns; which means you save on both material and labor costs! Enhanced insulation. Wisconsin is a cold state; at least for the majority of each year. The large wall cavities on post-frame buildings allow for more and better insulation. Contact Bower for an Estimate! Whether you know post-frame construction is right for your project, or have just started considering the possibility; give Bower Construction & Design a call to discuss your design needs and get an estimate on cost and the completion time-frame. Our friendly, knowledgeable contractors are happy to answer any of your questions and help you make the best choice based on your exact building needs and budget. Contact our Racine Post-Frame Construction Company today! Parade of Homes 2017 If it’s Time for a Remodel, Call Bower!